Save some money and make your own decadent chocolate treats at home. 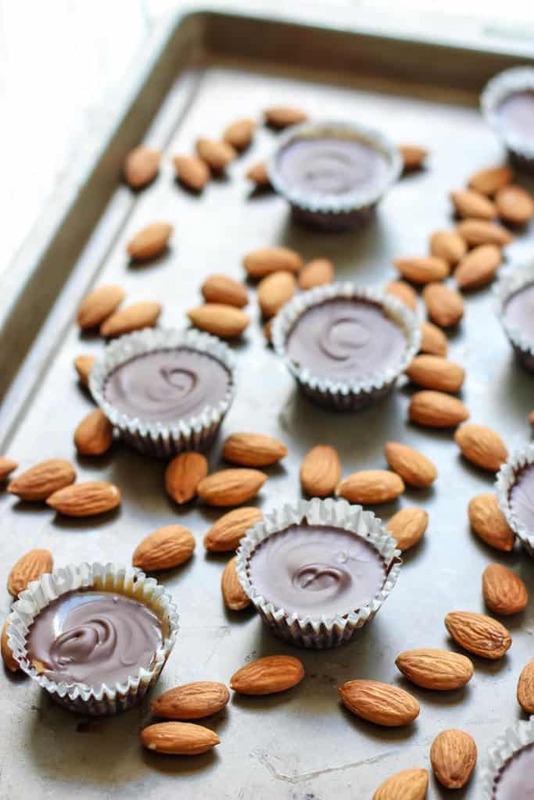 Three ingredients and just 15 minutes for these healthy Chocolate Caramel Almond Butter Cups! Gluten-free and vegan-friendly. What the whattttt. Guys. It is AUGUST. How and why does summer go by so fast?! It feels like just yesterday we were in the UP! While I write this I am physically sitting at my desk back home in Michigan. But as you’re reading this I am currently in the UK. Drinking all of the tea and eating all of the scones. At this point, I have already toured the Harry Potter Warner Bros. studio (HP fans, where you at? ), seen the sights of London, checked out Leeds, and have likely already spent the past couple days hiking in Scotland 😀 I promise I’ll share photos ASAP. I am honestly so grateful to have been able to go on this trip. Looking back to the planning and weeks leading up, I was definitely a little scared. Not necessarily scared of flying, or traveling alone. But just scared of… trying something new, I guess? It feels a little silly to admit, truthfully. But it was either a trip to the UK with some of my favorite people, or going camping on the Georgian Bay with my family like I have every summer of my entire 27 years of life . And I couldn’t have both. And while I am sad I don’t get to see my favorite Canadians or watch the sun go down on the Georgian Bay, I have to say I am proud of myself for going on this trip. To some of you that may not be a big deal, but for someone who looks forward to routine, there was a bit of anxiety building up to this trip. I always keep that thought in my head when I am about to embark on a new adventure. Whether it’s traveling, a new workout class, saying “yes” to something new, attending a conference, etc. Being scared doesn’t have to be debilitating. Once you get of your own way, it can be invigorating, exciting, and 200% worth it. I feel like it is always worth it. You just have to have the right mindset. So what are these little cups I’ve been tantalizing you with throughout the discussion above? Just three ingredients and 15 minutes is all it takes to become a BA chocolatier in your own kitchen. 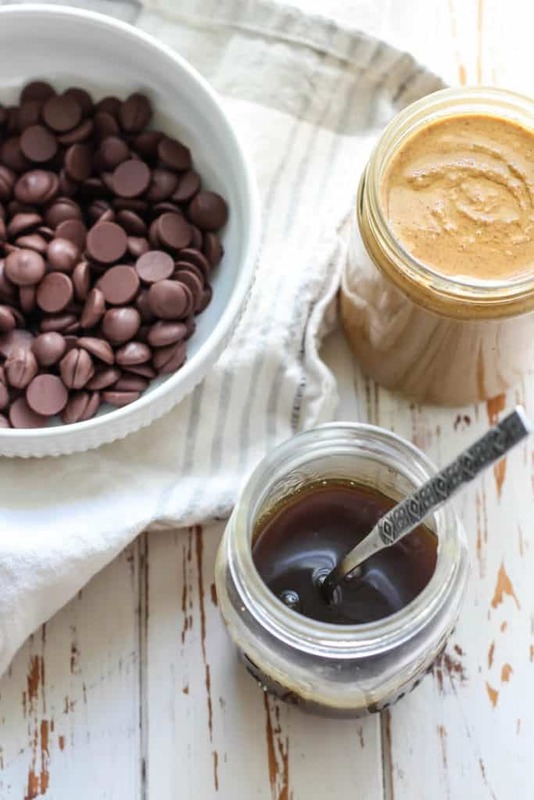 All you do is melt your bowl of chocolate chips, spoon on some almond butter, a bit of caramel, and finish off with melted chocolate. 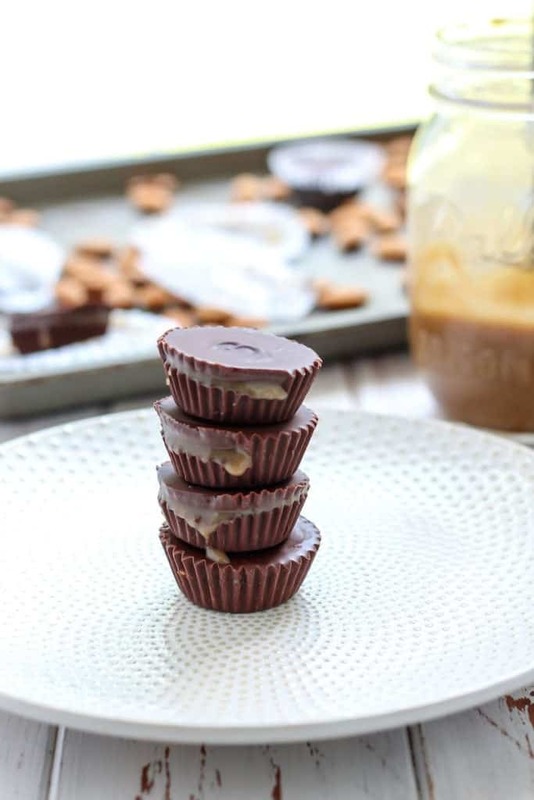 15 minutes in the freezer and you’ve got yourself some seriously good caramel almond butter cups. Scoop about 1 heaping teaspoon of melted chocolate into the 12 muffin liners. 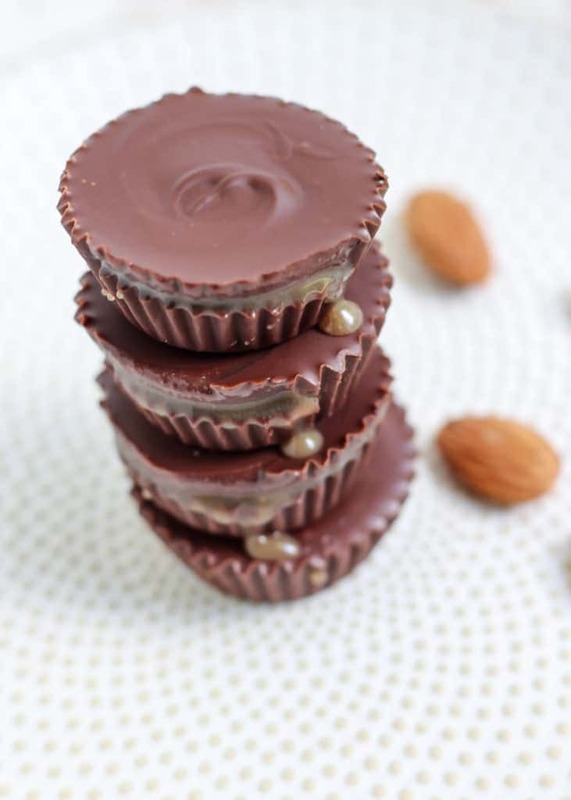 Using the ½ teaspoon scoop out almond butter into each cup of chocolate. Then add about 1/4 tsp of chilled caramel sauce on top of the almond butter. Top the cups with the remaining melted chocolate, about another heaping teaspoon, and transfer pan to freezer to set for about 10 minutes. Once the cups have set, enjoy! 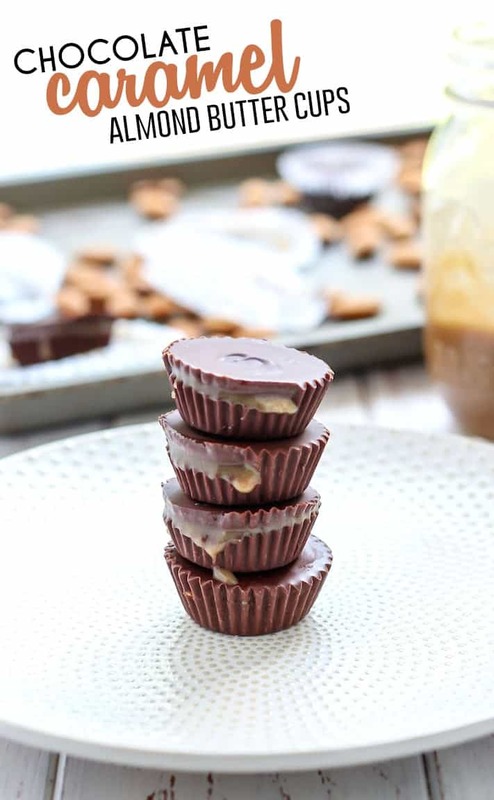 *It works best if your caramel is more chilled so it doesn’t spread out the middle of the chocolate. -I store my cups in a container in fridge, and allow the cups to come to room temperature before enjoying. –cook time refers to time in freezer. Have you done something that has scared you lately? Do you get a little anxious when trying something new? Or do you welcome it with open arms? These look amaze-balls!! So happy you’re having a great time in the UK! I always get nervous before new things, especially when I started my intensive last week. I was sooo nervous about everything but it’s been going so well! I guess I worried for nothing! We often end up worrying for nothing 😉 Glad everything is going well for you! Enjoy your trip!!! So fun! 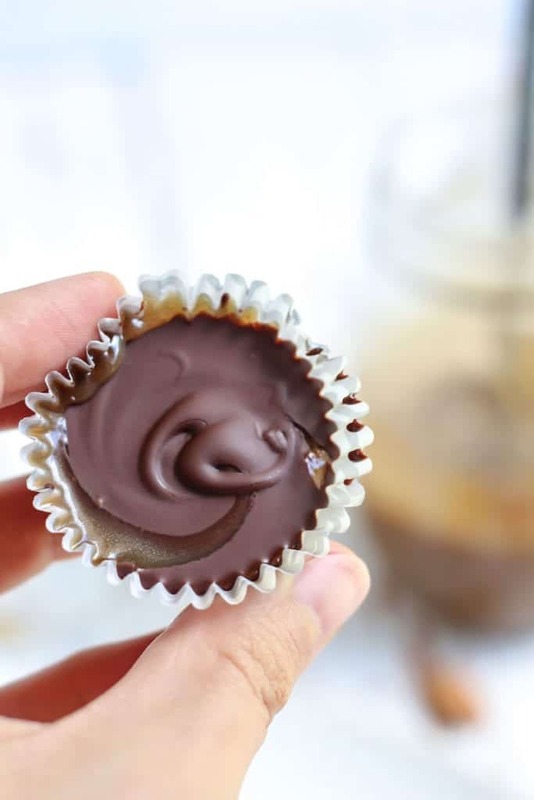 I always melt a little coconut oil in with the chocolate for that creamy consistency. 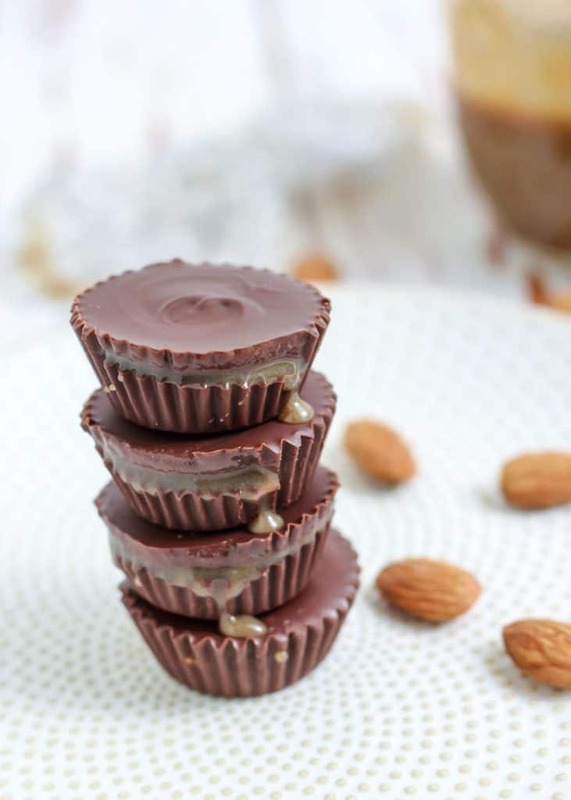 Hopeless chocolate caramel lover here so these look amazing! It’s amazing how mindset changes everything when I go traveling. When I go into the unknown with a sense of expectation and excitement, it changes the whole vacation right around. I can’t wait to see pictures of the green hills of Scotland! Can’t get over how gorgeous these look. They could be chocolate cup modelz. Trying new things is scary AF, but it’s what makes life exciting, right? Unless you’re trying to spray a wasps’ nest. I saved that for the husband.